The Walled Garden story started for Clear Village in 2011, when Clear Village founder Thomas Ermacora visited the site and was struck by its potential. 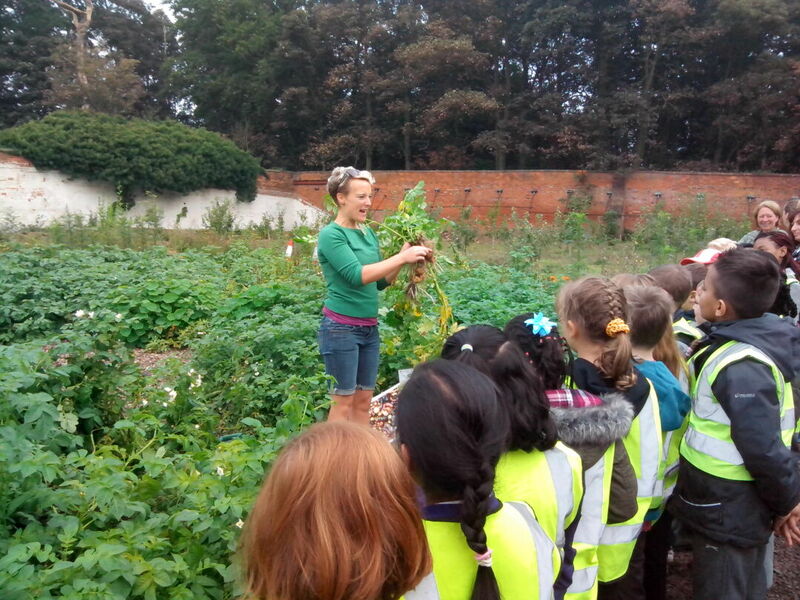 At the time the garden had been derelict for many years, but after conversations with Havering Council and the Friends of Bedfords Park, a vision was developed to restore the garden and transform it into a community food-growing space that could address some of the area’s most urgent problems. Thanks to a major grant from the Local Food programme, restoration work could begin in 2013. 320m of walls were repaired; the historical pineapple and fern houses were restored; 70m of lean-to glasshouses and 40m of cold frames were put up; and a toilet block, mess room, kitchen and teaching room were built. All in all about 6,000 square metres of unused space was transformed, with half being turned into productive growing space. At the same time, the project team organised a host of events and activities to promote the garden and engage the local community. These included a Big Dig, a Big Lunch, a Midsummer’s Night Event, a Harvest Moon Festival, and many others. In addition, the team worked together with local partner organisations to develop targeted programmes for beneficiary groups, such as training programmes for long-term unemployed, social activities with an emphasis on exercise and well-being for older people, and the so-called Grow Cook Eat programme to teach deprived school children about healthy food and thus reduce their risk of developing obesity. Design has played a two-fold role in the project. Firstly, the physical design of the garden was co-creatively developed. In September 2011, a Garden Angels Lab brought together dozens of volunteers to kick-start the project and design an initial vision for the garden. And in March 2013, a series of Garden Co-Design Labs were held. Approximately 50 local people took part and provided hundreds of ideas on how to re-design the garden. The series was followed by a partner and professional lab, involving 15 participants, which culminated in an overall plan for the garden that incorporated as many of the sourced ideas as possible. Secondly, the programmes and activities in the garden have been jointly developed through a participatory design process. A number of co-creative labs involving Clear Village’s participatory design tools and processes were organised for volunteers, schools, and organisations representing older people and unemployed people. The goal of each lab was to identify with participants how the garden could provide most value for them and address their specific needs and requirements.